JINJA – Kirinya JSS will host Mbarara City at the Mighty Arena in the StarTimes Uganda Premier League on Tuesday. The game will give both sides a chance to bounce back from Match-Day 20 defeats as they try to finish as high as possible on the table. Mbarara who lost their first home game of the season last week, falling 2-1 against Onduparaka, have been by far the most impressive side in the division this campaign. The Ankole Lions are currently seated 3rd on the standings, still with an outside chance of winning a first ever League title. Their 36 points accumulated so far means that they are 9 points behind leaders KCCA (45) with 10 games still left to be played. In the build up to Tuesday’s game, Mbarara head coach Livingstone Mbabazi had threatened to resign following a burst up with fans in the aftermath of their loss to Onduparaka. However, the parties look to have sorted their issues and the former Onduparaka tactician return to full duties on Sunday. 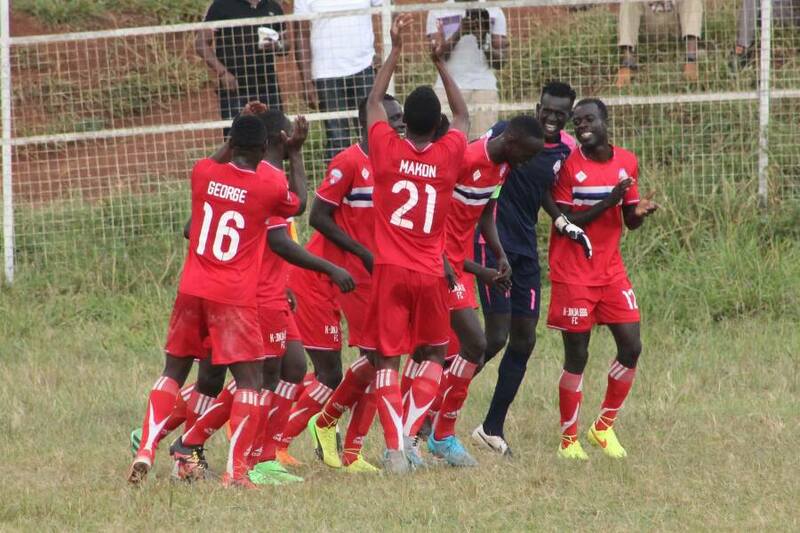 For Kirinya, they lost 2-0 away to URA last week, a result that came after defeating Police on Match-Day 19. Currently seated 11th, the Students have seen their season make a dramatic turn around after starting on a bang. After a string of bad results, Kirinya parted ways with Charles Ayieko and replaced him with Abby Kikomeko but a single victory in 6 competitive fixtures doesn’t look good for him either. With Joel Madondo i9n their ranks, they have a player capable of seeing them past the finish line on Tuesday and he is one Mbarara will be looking to shut out if they are to walk away with something from Jinja. Madondo has scored 9 goals in the League this season. This will only be the fourth top flight meeting between these two sides. In the first three, Kirinya have won 2 and lost the other meaning that these sides are yet to share spoils. The reverse fixture last season ended in a 1-0 win for Kirinya JSS while their meeting in this campaign’s first round saw Mbarara win 3-0 at Kakyeka. Kirinya go into the game with only one win in their last 9 League games (D4 L1). However, att home, the Students have lost only one of their last 11 league games (W2 D8). For Mbarara, they come into the game having lost only one of their last 11 League games (W5 D5). On the road, they have been average, winning only two games this season (D4 L3).